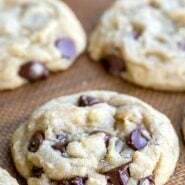 Hubby had a sweet craving so I googled “easy chocolate chip cookies”. Soooo glad this recipe came up! 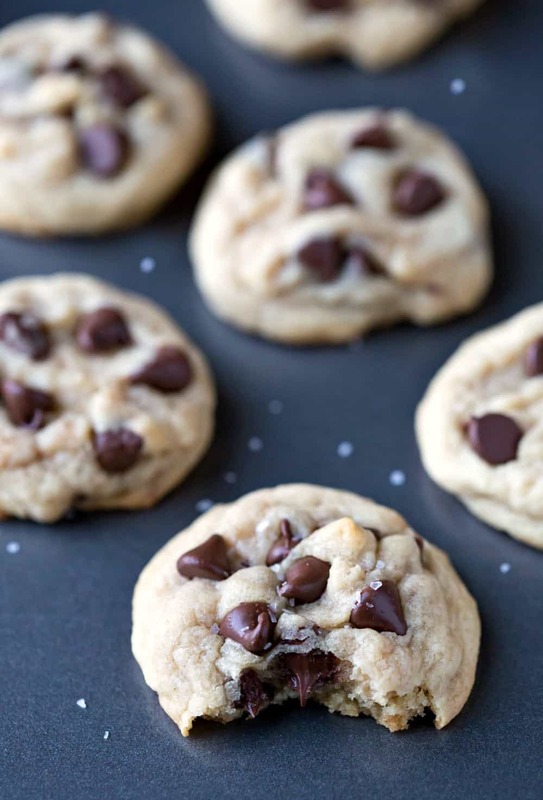 So quick to make (I never make cookies from scratch – correction- used to never make them). These were perfect. I scooped them using a medium Pampered Chef scoop and they baked about 13 minutes. Hubby loves them!! We so just made these and they are delicious! 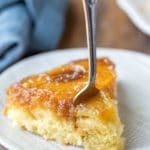 Thank you sooo much for sharing this recipe! 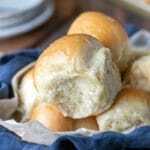 I just made this recipe with ny children. Really easy and the cookies are so tasty! Thank you! I’m so glad that you liked them! It’s so fun to hear from people all over the world who are enjoying these cookies! Thank you for taking the time to comment. Without knowing more, it’s difficult to say what the issue is. It could be anything from the altitute to the humidity. If you find, though, that the mixture is too sticky, the easiest thing to do is just to add a little more flour. Hope that helps! 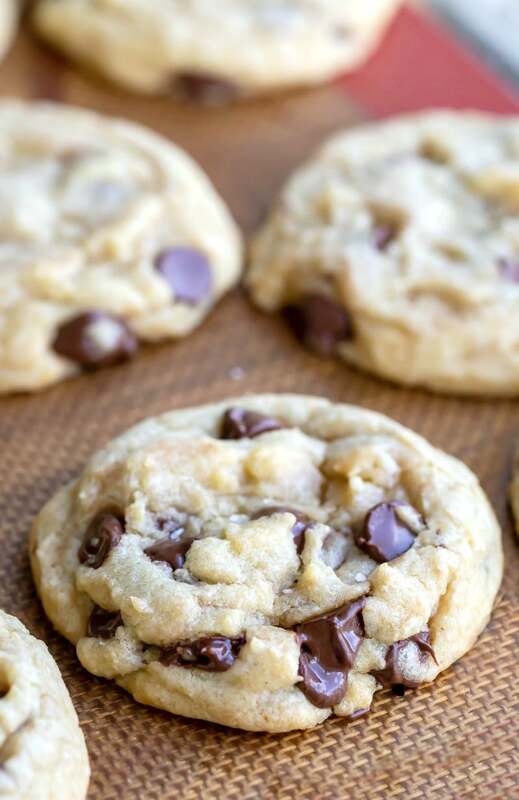 My new go to chocolate chip cookie recipe! They are Awesome! Everybody that I made them for loved them! So yummy! 😋. Thanks for sharing! Thank you so much! I’m glad to hear that they were a hit. =) Thanks for commenting! Bake alittle longer on bigger cookies I love how there not easy to burn. Thanks! I’m glad you liked them! =) Thanks for commenting! LOL! You never need to explain adding sprinkles! =) I’m so glad that they came out well, and it sounds like you two had a blast making them. Thanks for coming back to comment! I love this recipe. 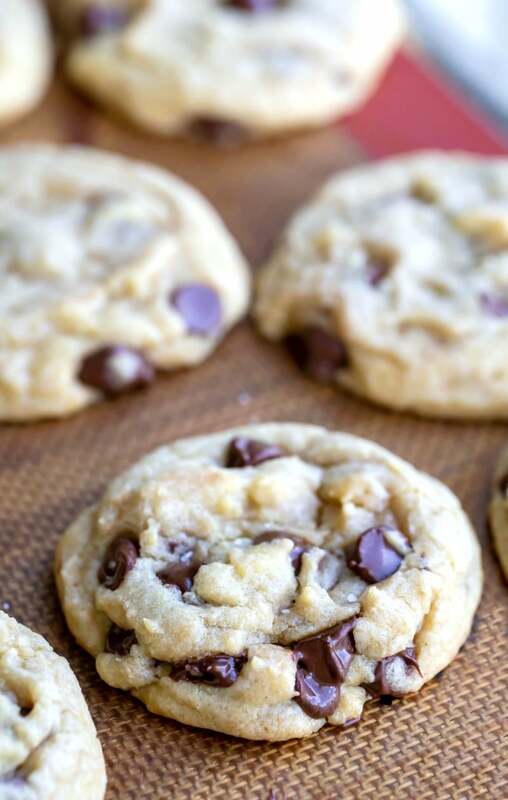 My husband and kids aren’t big on sweets, but they love these cookies. 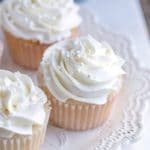 It’s super easy to make them and they are really delicious. Thank you so much! I’m so glad that they have been a hit with your family. =) Thanks for commenting! Best cookies ever! When the delicious dough actually makes it to the pan :) We sub out the flour for gluten-free & no one can believe how good and soft they are! This is a great recipe for little kids to get in on the fun! Yay!! I’m so glad! Thanks for your note about the gf flour! I get questions about subs, and it’s helpful to hear the things that have worked. I DRUNK made these and they were easy, delicious, and held up to the sober next morning. So happy i bookmarked this recipe for my go to. Thank you for an easy and yummy recipe! Yay!! I’m so glad that the cookies were a hit, and I know all about those cravings. ;) Thanks for commenting! Thank u so much my and my daughter who is 11 has made these 3 times now and it is a big hit in our home and her school. Its easy for her to make and take to friends and class. Yay!!! I’m so glad that the cookies are easy for her to make! I love to hear things like this! Thank you for taking the time to come back and comment. Best cookies! I’ve made them twice and both turned out great, and so easy!! 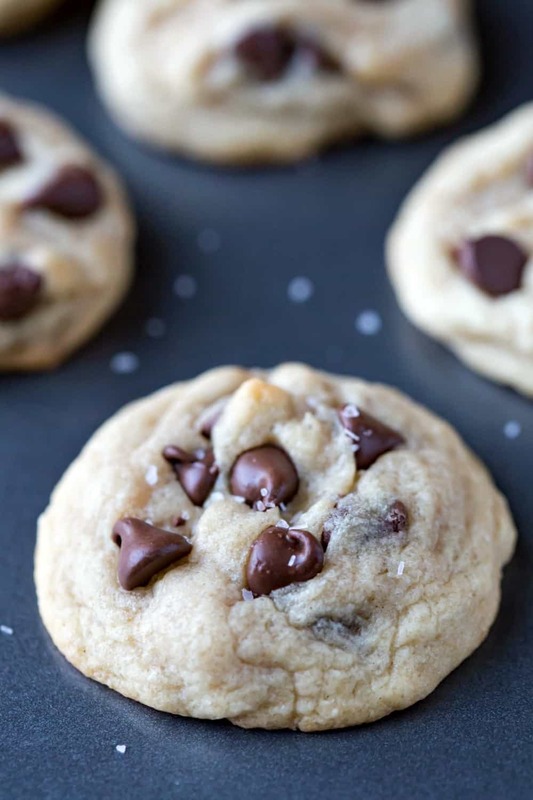 Perfect recipe for a delicious fast & easy cookie! This is my go to cookie recipe. Best and easiest cookie recipe I’ve made! This is my second time using this cookie recipes and the second time in which my cookies don’t expand in the oven…they just stay balls. I’m following the recipe EXACTLY and am an avid baker so I’m not sure what’s happening!! Wah. So sad. I’m sorry to hear that! There are two reasons that could happen. 1) Too much flour in the dough or 2) the butter is getting cooked beyond just melting. I’m happy to help you troublshoot if you have any questions! I hope you realize they need baking powder to rise and expand. This recipe doesn’t include that ingredient. That is the way it’s supposed to be. I’m so glad that you liked the cookies! =) Thanks for commenting!